Any ideas as to why I get a pool of engine oil in the valley cover under the manifold. This is after I mopped it out and requires cleaning up every few hundred miles. 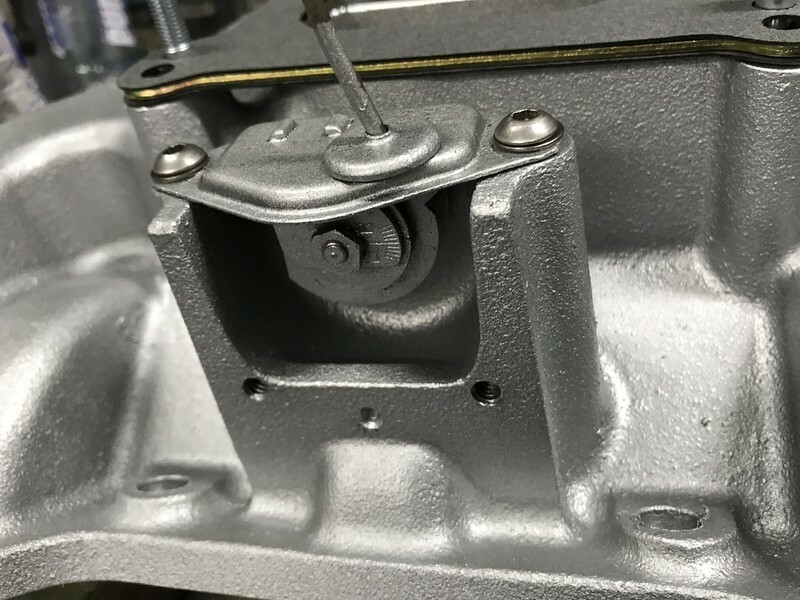 Location: Southern Sweden - Sturkö island A well known fact is that the 4-bolt valve covers needs to be perfectly straight, no "dimples" around the bolts, good quality gaskets for to not leak. 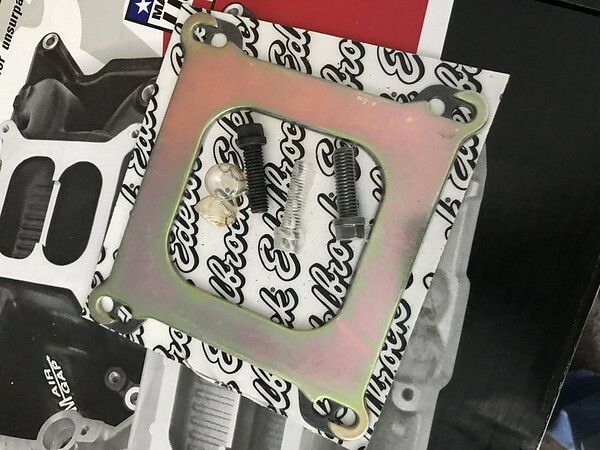 A well known fact is that the 4-bolt valve covers needs to be perfectly straight, no "dimples" around the bolts, good quality gaskets for to not leak. Yes, first thing I checked, new expensive gaskets installed too. Theres is no leak around the covers. It has been the same since Ive owned the car and that was my first thought but it does not appear to be the case and no change since cleaning up and new gaskets fitted. Location: Sydney Im running a PCV on the right feeding into the manifold and an open breather on the left. 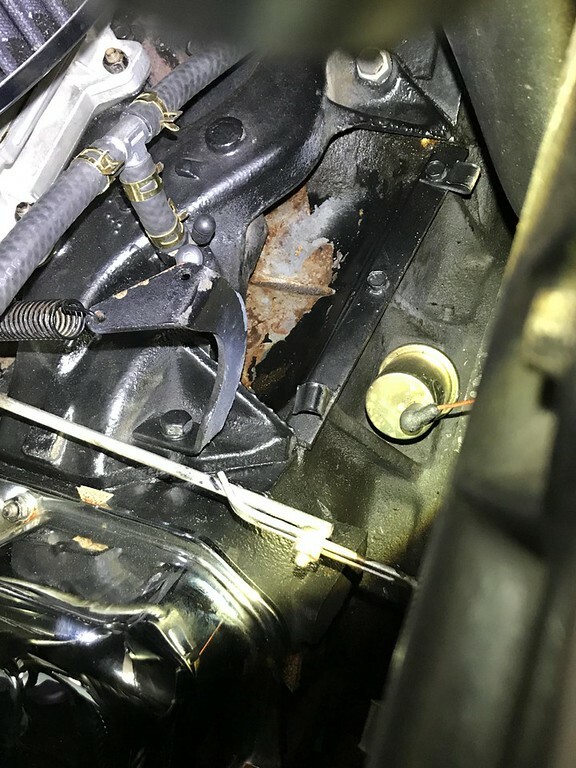 Location: northern germany VC leaks usually not into the valey pan but well known on BB is oil coming thru the intake bolt holes, mostly on the passenger side with a working heat riser. Easy cure. Other possible source is the edges on the valey pan gasket. You need to install it with some sealant. Location: Sept. 1958 If worst comes to worst, you can add dye to the oil and check with a detection light. Location: Pacific Northwest I'm with Sid on this one. Take the afternoon and redo the valley pan. If you prepare for that process then once the manifold comes off you'll most likely discover the leak. Will try sealing the bolt holes and threads first. Im really hesitant to disturb the manifold and valley cover unless absolutely necessary. If that does not help then I might bite the bullet and remove the manifold and cover. And then that will probably end up in a rebuild ......DOH! For what its worth, I do not have a working heat riser. 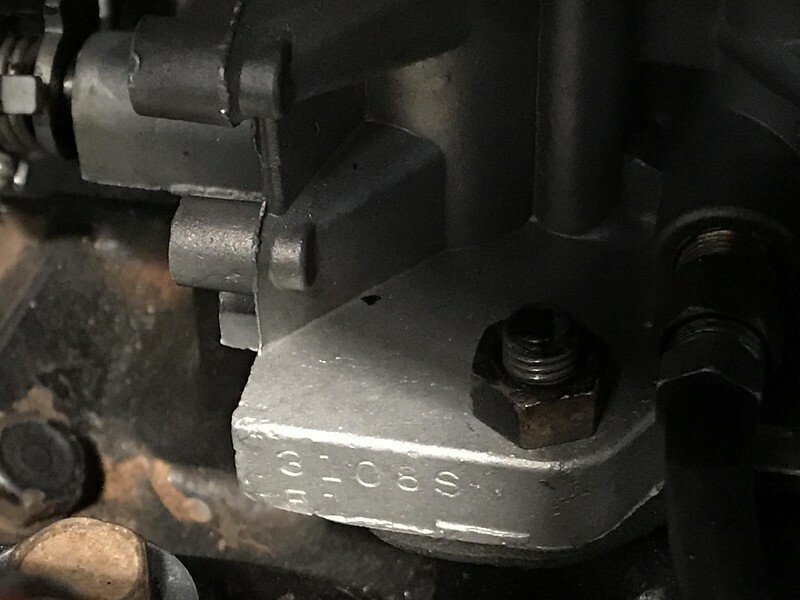 Anyone know off the top of their heads what the torque spec is for the manifold bolts? Location: Pacific Northwest 50 foot lb. I could be wrong, but from what I remember it is 40 pounds. Follow the FSM sequence and do small steps, not the full torque at once. It is a dry manifold so it is not a big job and if yours still got the factory insulation, discard it and do not replace! Checked, it is indeed 50 ft/lb, 40 is the recommendation from Mopar Performance for the aluminum manifolds. Location: Sydney Thanks for that. What is the factory insulation you are referring to? My first thought was to do one bolt at a time, clean and apply sealant without removing the manifold. Not a good idea maybe??? Location: northern germany The insulation is the glass-wool stuff in the valley pan under the intake, mostly soaked with oil. 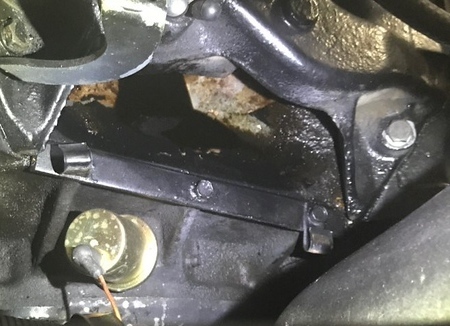 The problem with sealing the bolt holes with sealant is, the holes are oily and you would have to clean them first, which requires removal of the intake or an oil change, if you flush them with brake cleaner. You may try sealing them with teflon tape, without cleaning (never tried that, but should work), but not sure how this would affect the torque specs. Location: Sydney Good idea with the tape. I have nothing between the manifold and valley pan except fresh air. Location: Sydney Ok, thanks for all the input. I really dont want to disturb too much, so, Ive taken all the bolts out one by one, cleaned and used some teflon tape on them and re-torqued them all. All seemed like the had never been touched except for the rear most RHS which wasnt tight and for some reason had a spacer nut on it as well (just see it in the top of the pic). I did check and it is the same length as all the other bolts so no idea what the intent of that was. Just another discovered bodgy job I guess. Just for curiosity, is there a direct replacement alloy manifold that works with the stock Carter? Location: Netherlands Just about any 4-bbl 'square bore' intake will work. 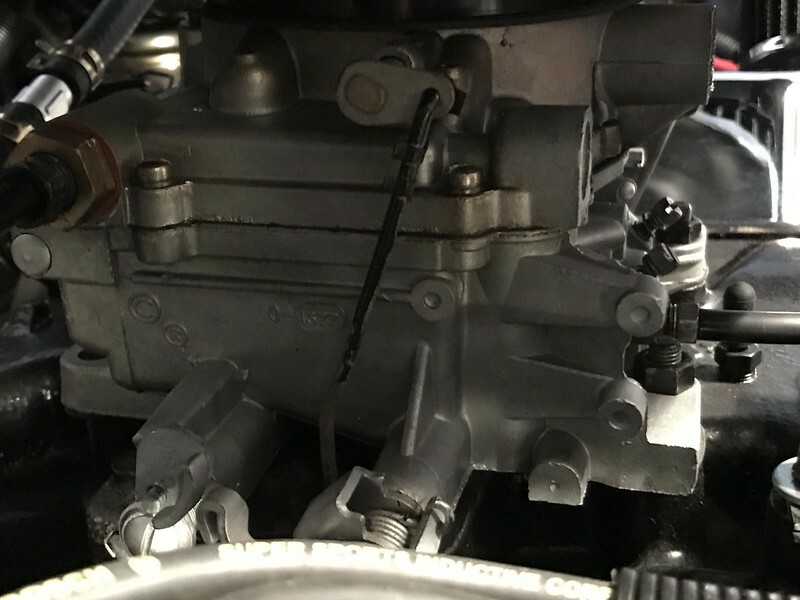 Your Carter carb has smaller ports than the newer Carter/Edelbrock carbs. 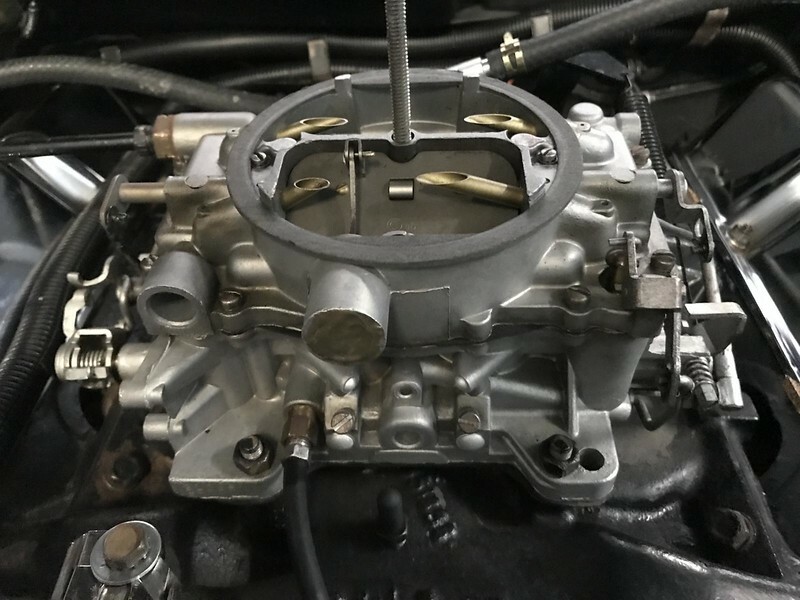 It's only when you want to install a new carb on an older intake, when you have use a spacer or just slightly enlarge the bores. Location: Sydney Im thinking, if I have to go as far as removing the CI manifold and valley cover, Ill replace it with something nice. Sorry, a bit off track, but what about the choke setup on a different manifold? Location: So. California If you want to run a factory style choke, the only aftermarket intakes that I know of are the Edelbrock Performer, Holley Strip Dominator, and the Edelbrock six pack intakes. The first 2 use a choke from the mid 70's, and the six pack uses one from the late '60's. 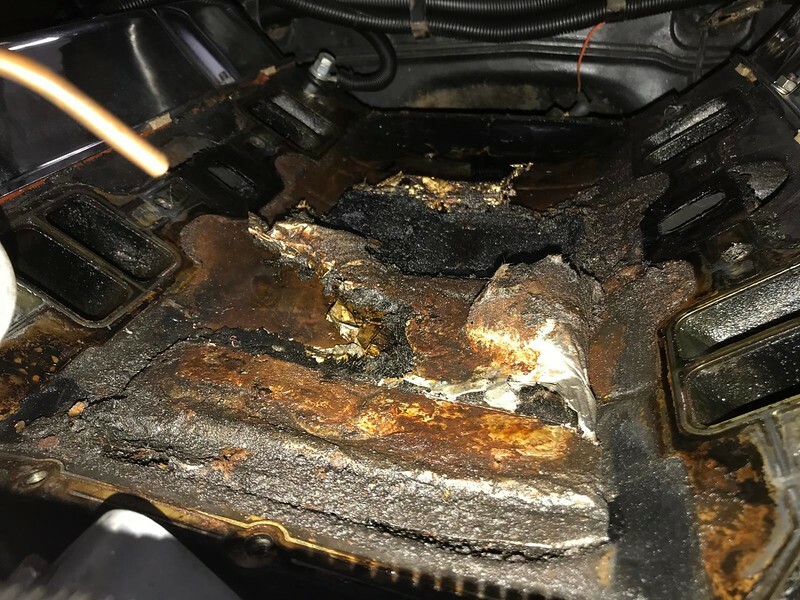 If you wish to use a different intake, you will need to use an electric choke. Location: northern germany The MP M1 dual plane manifolds have a oe choke well too. Good manifolds! But you wil have to fabricate a new choke rod. Not difficult but time consuming. I'm a big fan of divorced OE chokes and don't like e-chokes but this would be an easy switch. Unfortunately the thread seal tape and re-torquing has made no difference, maybe even slightly worse. 50klm around the local area and there was a small pool of oil in the back of the valley. Looks like Ill have to think about removing the manifold and replacing the valley cover. I will most likely use an new alloy manifold and retain the stock Carter and choke assembly if thats possible?. Can someone provide a list of parts I would need to complete the job? Im trying not to get caught out and discover Im missing parts to complete the job. Location: Pacific Northwest Marc, If you go with the M1 like Sid suggested or the Offenhauser the only thing you will need is a new carb base gasket, valley pan and some RTV. (usually comes in the kit w/ the pan) Bolts, linkage should all be the same. You don't even have to remove the valve covers. 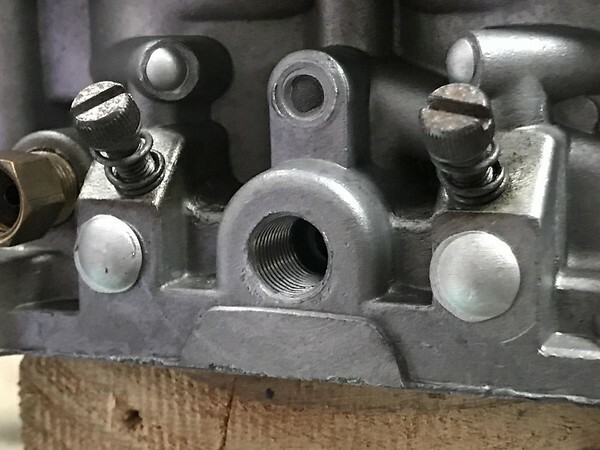 Follow the bolt pattern sequence for torquing it down after everything is finger tight. B and RB engines are really easy for manifold swaps. No coolant to deal with! Sounds good, thanks for that info. Mopar M1 is nearly $1000 here! There is Holley Street Dominator single plane available here, not sure if this is the best choice for stock motor? 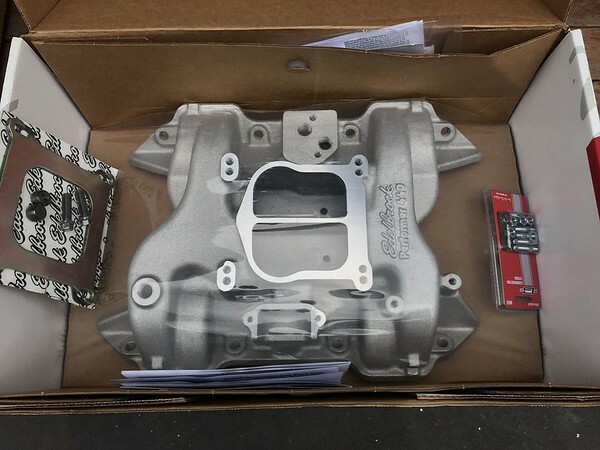 The only option I have appears to be the Edelbrock Performer 440 ED2191 or possibly the ED7193 but from what I can see the 7193 does not accommodate the OEM Carter choke? Hopefully I can find the non EGR version. From what I get from the replies above, they are not a direct replacement for the standard choke arrangement? Is that correct? Which is the correct one for the 413? What are all the additional bits? Location: Chestertown, NY ( near Lake George) As far as the pan goes, one has the heat riser passage blocked, the other does not. If you see a suitable carb with an electric choke or one that can be converted to electric, that may open your choices. Btw, as mentioned, a single plane manifold generally has poor street manners. 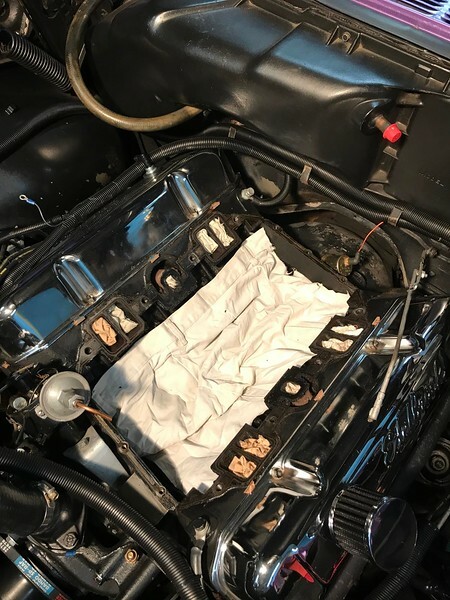 Location: Pacific Northwest My advice... get the Fel-Pro FEMS96000 BB Chrysler 413-440 Intake Manifold Tub/Pan Gasket Set. Get a few of your favorite brews and just swap out the valley pan. 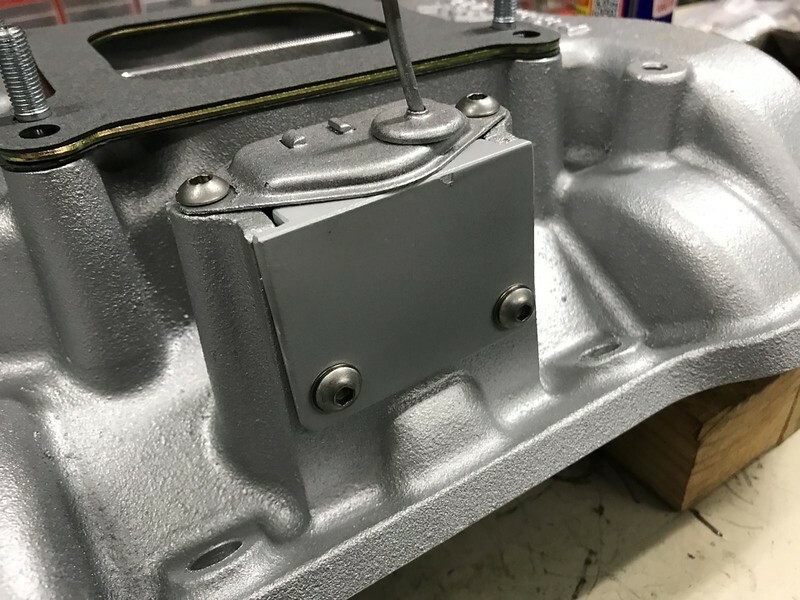 All the alloy manifold is going to do is shave a few pounds off of your gross vehicle weight. You'll be up and running before you crack into the third brew. Then you will have more time to track down the manifold you really want. That Offenhauser is still available BTW. My advice... get the Fel-Pro FEMS96000 BB Chrysler 413-440 Intake Manifold Tub/Pan Gasket Set. Get a few of your favorite brews and just swap out the valley pan. All the alloy manifold is going to do is shave a few pounds off of your gross vehicle weight. You'll be up and running before you crack into the third brew. And considering the fact, that all aftermarket aluminum manifolds are of very POOR quality with really bad core shift. 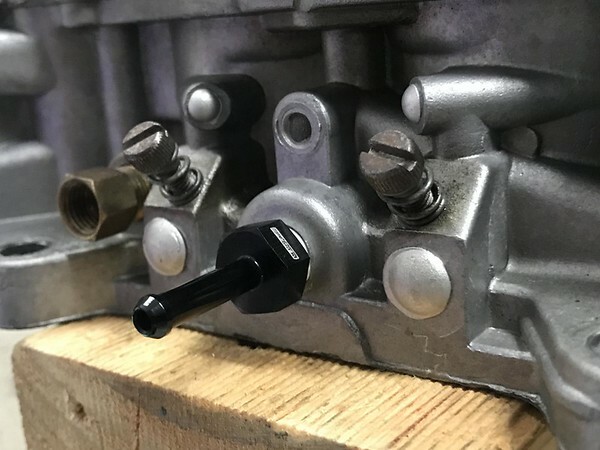 That means, to get an actual performance gain, you will have to port-match the heads/manifold, which is not alot of fun and requires some time consuming grinding, as you will have to be very carefull with the heads on the engine. That said, up in front, you will feel every pound that you remove and the alloy manifolds are considerable lighter. Getting things to Australia can be a real headache and the cost of shipping is crazy! I got some costs on shipping a manifold from the US and get between $120 and $200 and thats not even priority! I had a new centre link sent over, total price was $120, by the time it landed with shipping and taxes, it cost me $400! So Im pretty much stuck with whatever I can get here I think. I was thinking that a new alloy manifold would be a nice facelift and (maybe) a bit of a performance improvement. If I stick with stock it will take more time as I will need to get it blasted and then repaint as its looking pretty crap atm. Im too OCD to put it back on looking so shabby. Im still not sure whether the Edelbrock would be a direct replacement with regards to the choke? 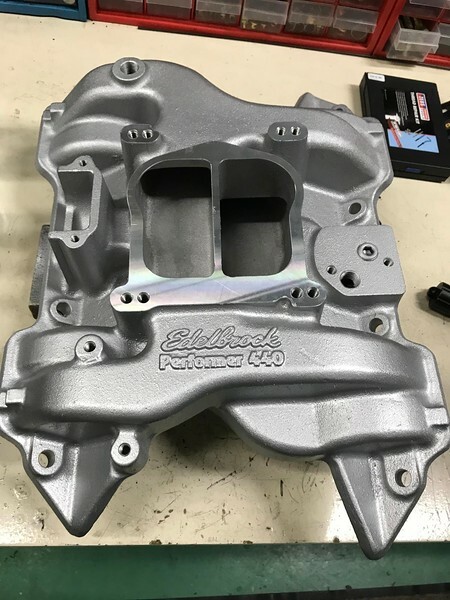 I may have the opportunity to obtain an Edelbrock 750 CFM with electric choke at a good price, by our standards anyway, $350, used but never used! May open up my options or am I wasting my time? Location: Pacific Northwest That carb will work but it is technically too many CFM's. 500-600 is a better match. Location: Sydney Thanks, it did seem a little big for a stock motor. Its just that its cheap at that price and will give me more options. Location: Pacific Northwest Problem? No. Not really. But I would anticipate an increase in fouled plugs and a decrease in your kilometers per liter. I'm sure you can put some smaller jets in it to lean it out a bit but I am not the guy to give advice on that. I useually fix 3 - 5 carburator each year and so far every one is very pleased with the result. Mind the height if you go for another manifold - the original air cleaner is actually on the limit. So what is the Carter actually rated at in CFM? I do have an ultrasonic cleaner that I use on motorcycle carbs. Its only 3 litre capacity but may be big enough to do the majority of the parts, maybe not the body itself though. Are you saying that I could use an electric Edelbrock electric choke on the Carter? That would be good if that is possible. I think I will replace the valley cover and manifold with the Performer 440 ED2191, all the fasteners and studs and leave it at that. 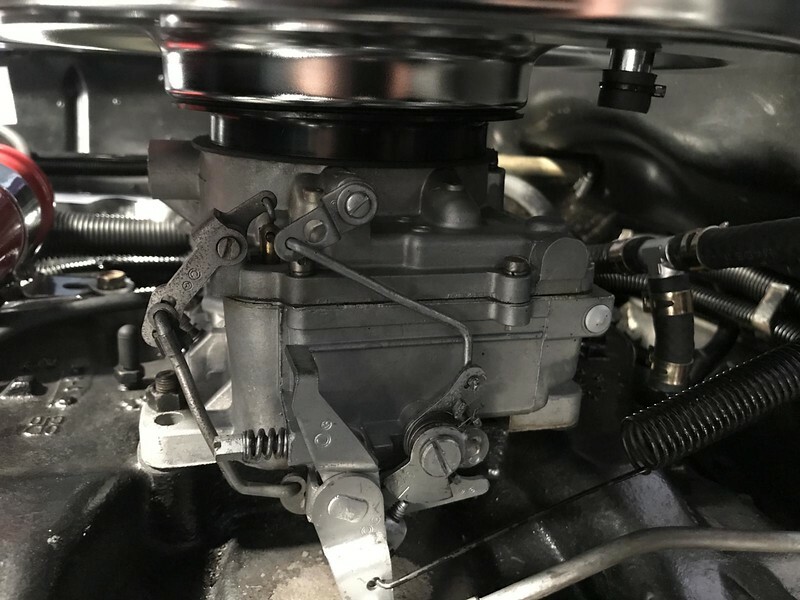 Relatively cheap, simple, no down time to speak of and Im assured by the local supplier that the Carter and stock choke assembly "should" work fine. Although I have my doubts from some of the posts above? Location: Southern Sweden - Sturkö island The Edelbrock is in fact an "El Cheapo" Carter - all the nozzles, valves springs and needles are exchangable. 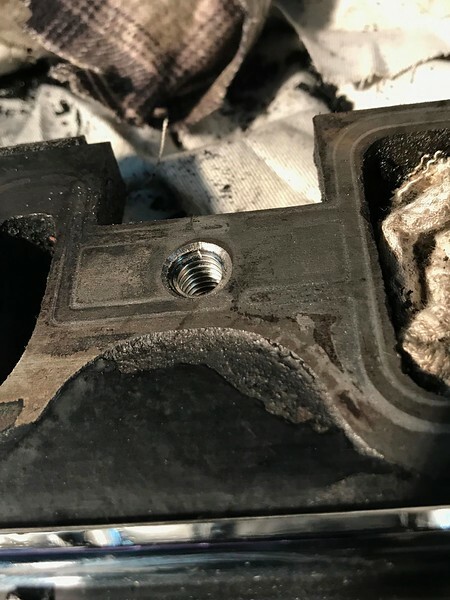 Edelbrock carbs may have bad casting with internal leaks as a consequence. 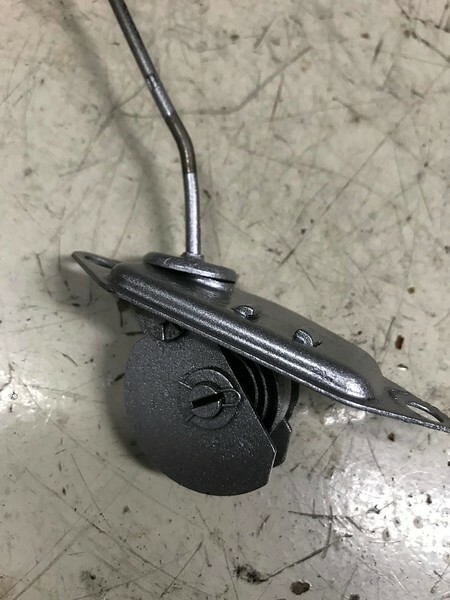 Location: Pacific Northwest If you take the number off of the tag or if there is no tag check the front of the carb along the base, left side when facing the engine. Take that number and do a little interweb search. I'm thinking 470-500cfm. Location: So. California Yes, the Edelbrock electric chokes will interchange with all Carter AFB's from 1958-up. Most people don't limit their motors to 4500 rpm. When they step on it, a 5500 rpm limit for the street is more normal. That would equate to 650 cfm, and real world losses that aren't taken into account bump it up to more like 700cfm or even bigger - especially if you have an RV or other improved cam in the motor. This is only if you want to realize the motor's potential and have a good free-flowing exhaust on it. The 392 hemi carbs were around 400cfm. With 2 of them, that equates to 800 cfm. This is a little big, but not terrible and the improved HP numbers on the dual quad motors show that the increase in cfm helped with power output. Just doing some number checking and my AFB appears to be a little rarer as its a 3108S with purely mechanical secondary with no weighted air valve. It also doesnt have any drillings for a potential electric choke, as well as no vacuum port for it. Location: Southern Sweden - Sturkö island That's a '61 413 carb and it looks fairly Clean which indicates that it has been repaired. Get the repair kit just to be sure and open it up…. The more I look the more I find that my car covers a few years! Regarding the plugs and fittings in the manifold, is Teflon thread seal tape or HT sealant the preferred option? But can someone tell me what these are for please? So after the original manifold was removed and I got over the shock of what I found.... a 60 year old pizza by the look! Whilst waiting for a few bits including all new fasteners and a carby kit I drilled and tapped the carb 1/8 NPT for an additional vacuum port (mine was blanked off) that I can use for either PCV or vacuum gauge for setting idle mixtures. Location: northern germany Don't expect the old choke to work with the new manifold. The choke well is located so elevated and away from the heat riser passage, the choke will stay on forever. Also noticed the dirty head ports. My guess, too rich, not properly jetted and/or because of the missing heat riser or short trips. The "pizza" is the stuff I told you about, factory insulation. Don't expect the old choke to work with the new manifold. The choke well is located so elevated and away from the heat riser passage, the choke will stay on forever. Also noticed the dirty head ports. My guess, too rich, not properly jetted and/or because of the missing heat riser or short trips. The "pizza" is the stuff I told you about, factory insulation. Just when I thought everything was going great!!! What can I do about the choke? What do you mean, missing heat riser? Im only doing long trips, minimum is 60 km's, the carb is stock but getting a rebuild when I get the parts. It does look very wet in there. Yeah, the pizza, I remember you mentioning the mat, I didnt think there was anything under there and the front bib kept it well hidden! Location: So. California The choke you need to work with that manifold is from a 70's 318 2bbl carb. Don't ask me why they chose that one, but that's what you need. You will need to modify the arm on it to make it work exactly where you want it. You can get a full thermal onlyl, thermal + electric assist, or high-grade version, all made by Standard. So my existing choke wont work properly because the cavity is open sided and wont get hot enough? And these other chokes will work at the lower temps? Location: Southern Sweden - Sturkö island Make a sheet metal cover for the side opening. Check that the butterfly valve in the right exhaust manifold works properly and if not, fix it. Then set the choke to a lean position - I think it'll work…. Location: Sydney For some reason its worked ok up until now. Location: Southern Sweden - Sturkö island The bimetal spring can be turned clockwise or anticlockwise by loosining the nut slightly.